This year there are two evenings that will ignite your passion for adventure, action and travel. For double the adventure come along both nights for two entirely different film programmes. Two night discounts are available - simply select both shows and use the drop down menu. Exciting events not to be missed with free prize giveaways! Jayson Sime had a tough start to life: he grew up facing poverty, homelessness, dyslexia and bullying. But he learned to fight. In 2017, he entered his first 100 - mile mountain ultramarathon (including a daunting 6,000m of ascent), betting on his life - long resilience to carry him to the finish line of Colorado’s epic Run Rabbit Run. A film of pain, suffering, persistence – and glory. Martina and her 60 - year - old mum Tania embark on an epic ski traverse from Vancouver to Alaska – six months and 2,300km of journeying though relentless mountain wilderness. 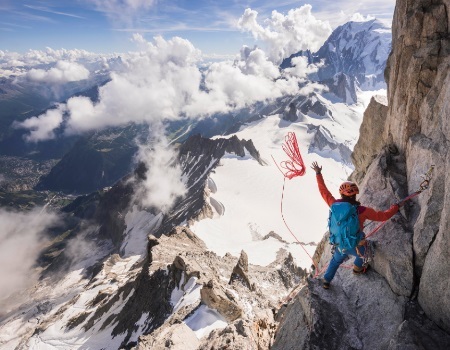 This Mountain Life is a multi-award-winning film and a riveting portrait of the human passion for adventure, set high in the peaks of British Columbia, Canada. Kai Jones may be only 11, but in the mountains age doesn’t matter. This next level kid is following in his family’s ski tracks... right into backflips and tricks off cliffs. Watch in awe as one of the world’s next great skiers in the making, takes on the mountain. ‘Unorthodox’ is the word used to describe German friends Max and Jochen’s many adventures, and their latest expedition – five weeks, 1,800km and 35,000km vertical metres self -propelled across the Alps – is no different. Starting in Germany and finishing at the Mediterranean, Ice and Palmstells of a raucous bikepacking journey, summiting mountains and skiing iconic lines along the way.